We offer private lessons on all percussion instruments specializing in advanced instruction on marimba, snare drum, timpani, drum set, etc. Lessons are 1/2 hour or an hour depending on your preference and level usually one time per week. 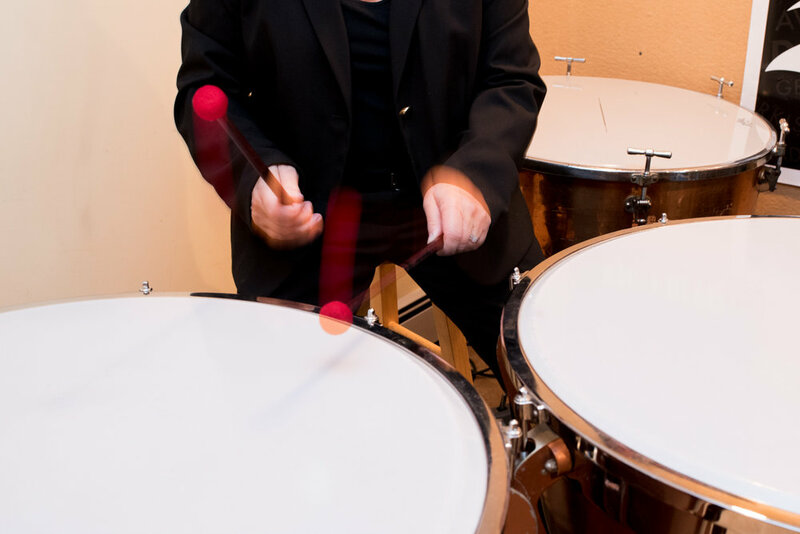 The consistency of lessons is of extreme importance in developing the necessary technique to excel as a fine percussionist. We encourage performance at all levels and offer various opportunities throughout your enrollment. You are welcome to join RATAMACUE anytime. Fees are averaged out for the length of your enrollment and paid once monthly. The longer your enrollment period the lower your per lesson price.